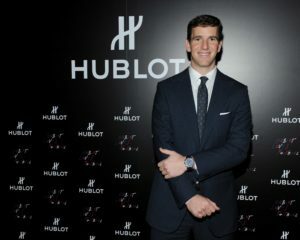 [New York, NY] – Luxury Swiss watchmaker Hublot revealed Eli Manning, quarterback and team captain for the New York Giants, as the newest friend of the brand, and unveiled an exclusive new timepiece inspired by Eli and the Giants: The Classic Fusion Chronograph New York. 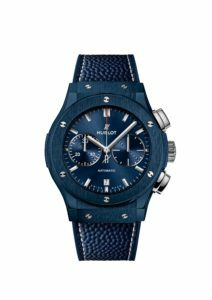 This is the second season of Hublot’s multi-year partnership with the Giants as the Official Watch and Timekeeper of America’s famed football team. In celebration of the partnership, Jean-François Sberro, Managing Director, Hublot North America, hosted an intimate dinner at the private Metropolitan Club on the Upper East Side of Manhattan, including clients, friends of the brand, and select media. The dinner was inspired by an exclusive “Champions Club” with opulent décor, branded holiday furnishings, jazz musicians, and more, with entertainment including a photographer making vintage portraits, and billiards. Guests were invited to a cocktail reception, prior to the seated dinner for an opportunity to mingle with Eli Manning and his teammates, and witness the reveal of the Classic Fusion Chronograph New York. 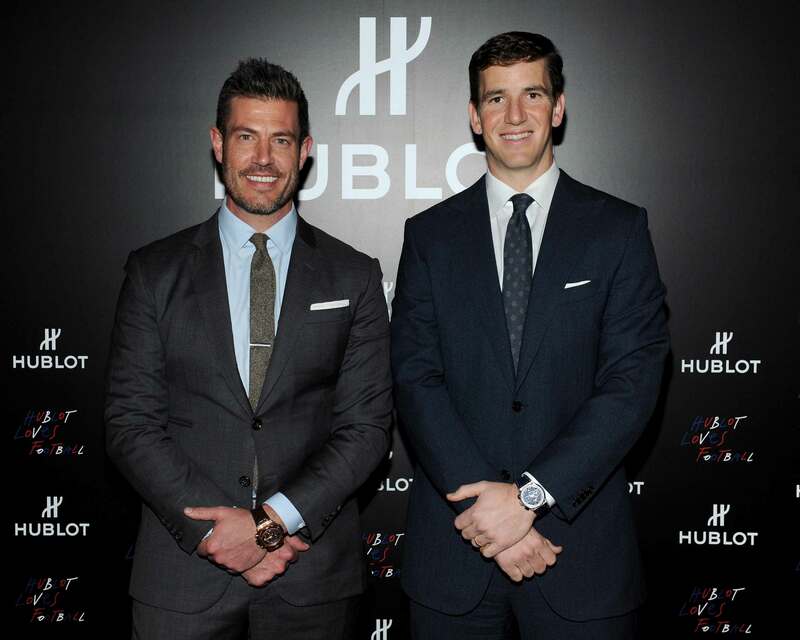 Notable attendees include former NFL and Giants star, TV personality, and friend of the Hublot brand, Jesse Palmer, alongside current players for the New York Giants including Evan Engram, Devon Kennard, and Zak DeOssie. Eli Manning, Quarterback of the New York Giants, noted, “I am proud to join Hublot’s family of greats. Hublot’s motto of being ‘first, different, and unique’ resonates with me, and I’m happy to support the brand’s strong partnership with the New York Giants”. 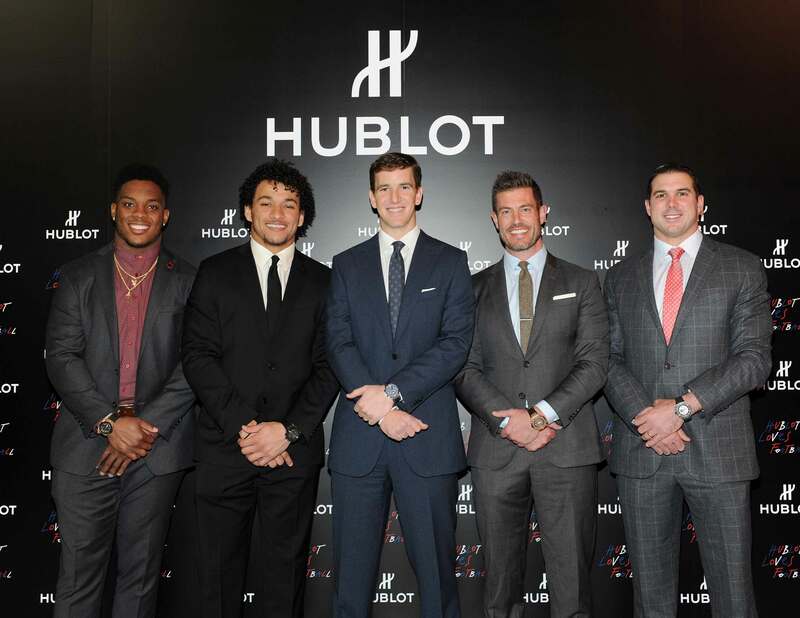 Jean-François Sberro, Managing Director, Hublot North America, commented, “We are thrilled to continue our partnership with the iconic New York Giants, an extension to our long-standing history with the world of professional sports, especially global football. We were the first luxury watch brand to partner with the New York Giants which commenced last season with Victor Cruz, and we are excited to reveal Eli Manning as our newest ambassador tonight with the Classic Fusion New York to symbolize the partnership.” Mike Stevens, SVP & CMO, the New York Giants, shared, “Hublot’s commitment to aligning with the best sports properties and athletes around the world made this a natural connection for us. We share many attributes with Hublot including the fusion of precision and toughness. 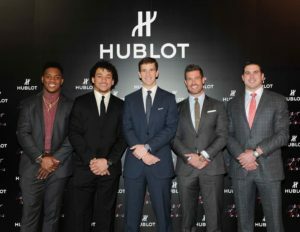 Hublot is truly one of the world’s highest quality brands and we are honored to continue our relationship with Hublot as our Official Watch and Timekeeper, and have Eli Manning join with the brand.” The event also served to unveil the Classic Fusion Chronograph New York, inspired by Eli Manning and Hublot’s second timepiece promoted with the New York Giants. 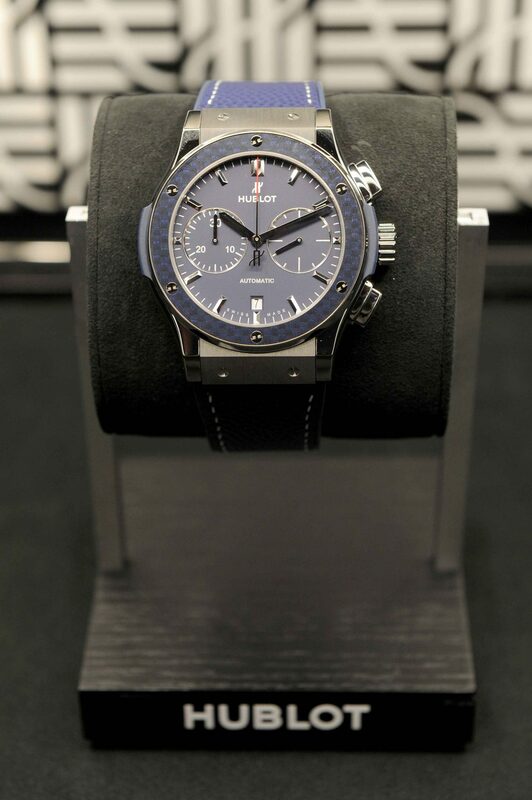 The watch features embellishments of blue throughout the dial, case back, and pebbled “pigskin” football-inspired strap. The limited-edition watch comes encased with a commemorative box, fully integrating the spirit of both brands. This Classic Fusion Chronograph New York is limited to 22 pieces and available for purchase at Hublot New York locations on Fifth Avenue and Madison Avenue. Hublot’s multi-platform partnership with the New York Giants includes gameday presence, team media, custom events and hospitality, and Giants Lifestyle content. 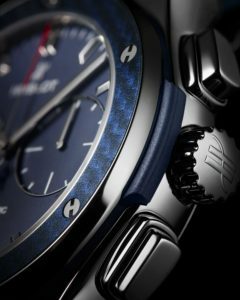 The Hublot Countdown to Kick-off video feature airs in-stadium as the Giants prepare to take the field at MetLife Stadium, and Giants Coach’s Timeouts are sponsored by Hublot at all Giants home games. Hublot also receives brand presence through Hublot clock displays in club and suite areas at MetLife Stadium for Giants’ games. Additionally, Hublot and the Giants partner on creative digital and social integrations.